Jacek Leonkiewicz. Photo PKP SA. 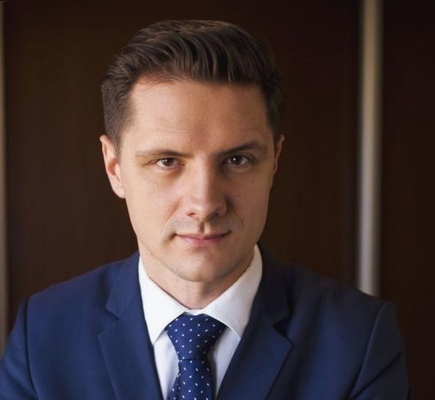 PKP IC’s new chairman, Jacek Leonkiewicz, graduated with a Masters degree in Banking and Finance from the Warsaw School of Economics (SGH) in 2007. While at the SGH he captained the football team and was an exchange student at the University of Madrid and the Copenhagen Business School. Leonkiewicz gained work experience in London as an intern at Grant Thornton and J P Morgan and took a summer job as an analyst at Merril Lynch. On graduating he joined J P Morgan Case as a debt analyst. In 2009, he returned to Poland to join investment fund manager PKO TFI SA where he stayed for four years. He became a board member of PKP SA in 2013, and, in 2014, he briefly joined PKP subsidiary, T K Telekom Sp. z o.o. as chairman of its supervisory board. Also in 2014, he became a member of the supervisory board of PKP Cargo SA and later that same year the chairman of the supervisory board of PKP Energetyka SA. He helped PKP Cargo get in shape for its debut on the Warsaw stock exchange and has been working to prepare both T K Telekom and PKP Energetyka for privatisation. He was appointed to the position of chairman of PKP IC on 16.1.2015. Here he will have his work cut out in stemming the desertion of customers to other modes of travel, as well as preparing the company for privatisation. Chairman sacked. Privatisation to be rushed through? 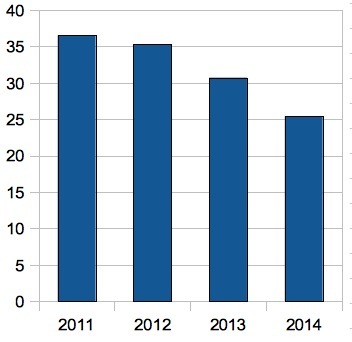 Unofficial 2014 figures for passengers carried by Poland’s TOCs show passengers deserting PKP InterCity in droves. PKP IC carried 30.7 million passengers in 2013, but only some 25.4 million in 2014, a loss approx of 5.3 million passengers (-17.2%). Most of the passengers deserting Poland’s long-distance train operating company were those who used PKP IC for relatively shorter journeys as the decline in passenger kilometres (from 7,085 million in 2013 to 6,221 million in 2014) was a more modest -7.9%. To say that the result is a disaster for PKP IC would be an understatement. In 2013, PKP IC declared an overall loss of 87.2 million PLN, on a difference between sales revenue and operating expenses of 91.3 million PLN. Adjusting sales revenue in accordance with the approx 8% reduction in passenger km in 2014, and assuming that any savings achieved in operating expenses was cancelled out by increased debt service charges, the gap between sales revenue and operating revenue opens out to a huge 282.6 million PLN. What the overall effect on PKP IC’s bottom line is, is anybody’s guess, PKP IC has additional deprecation charges associated with the purchase of new rolling stock in 2014. What is known for certain is that, after 12 months in post, former PKP IC chairman, Marcin Celejewski, has been turfed out of his job (though he remains a board member) giving up his chair to PKP privatisation guru, Jacek Leonkiewicz – the clearest sign yet that PKP may wish to rapidly divest itself of its troublesome flagship company. Selling some, or even all of PKP IC, will not be easy. 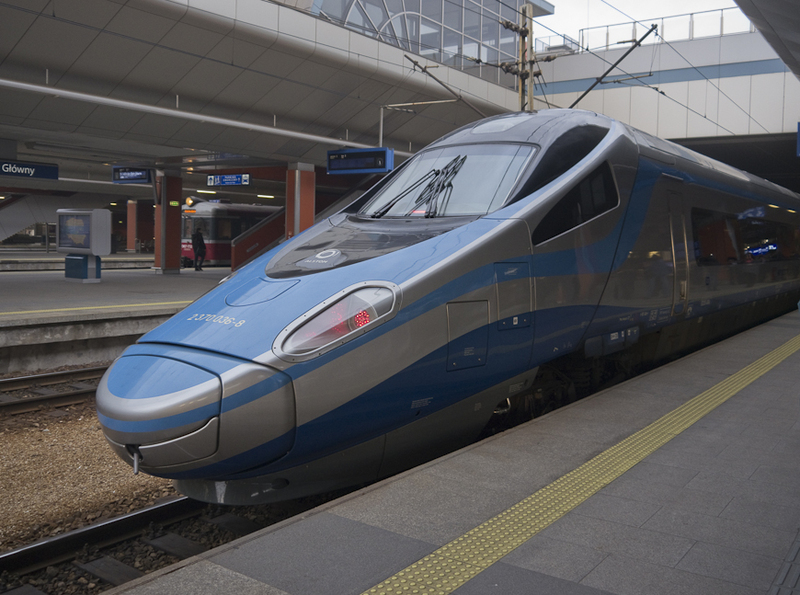 Compared to the UK, Poland’s long-distance passenger market is a mess: there are no through ticketing arrangements between the different passenger operators, journey times are lengthy due to speed restrictions due to poor track or construction work, ticket prices (when compared to earnings) are high, Poland’s TOCs having to pay some of the highest track access charges in Europe. Stagecoach investigated the possibility of setting up as a TOC in Poland and decided the market was too risky – with the insight so obtained into Poland’s public transport market Stagecoach founder, Brian Souter, decided to set up PKP IC’s nemesis, Polski Bus, instead!